High blood pressure is an increasingly common condition in which the blood that flows through blood vessels in the body is flowing at a rate that’s higher than ideal. High blood pressure, also known as hypertension, increases the workload of the heart and circulatory system. According to findings from the Global Health Observatory (GHO), about half of the world’s population has high blood pressure. If that weren’t bad enough, millions have high blood pressure and don’t even know it. In fact, hypertension is often called “the silent killer,” due to the relative lack of major symptoms accompanying the condition. The good news: There are natural ways to prevent high blood pressure and treat it. We’ve consulted experts and poured through medical journals, research studies, and herbal remedies to find the best natural ways to prevent and treat high blood pressure. Read on to learn more about your blood pressure and how to stay in the safe-zone naturally. It’s a bit tricky to figure out what the blood pressure numbers mean. First of all, blood pressure is measured in millimeters of mercury, abbreviated Hg. The very first pressure gauges designed to measure blood pressure used mercury to determine the reading. Today, even though we no longer use mercury in most modern pressure gauges, the unit of measure continues to be used. There are two numbers that make up a blood pressure reading. The top number is your systolic blood pressure. The systolic blood pressure represents the amount of pressure being exerted from your blood to the walls of your arteries when the heart is beating. The bottom number indicates your diastolic blood pressure. The diastolic blood pressure represents the amount of pressure being exerted from your blood to the walls of your arteries when the heart is at rest — between beats. Is the Systolic Number More Important Than the Diastolic Number? Often, people pay more attention to the top number, or systolic pressure, than the diastolic. However, either the systolic or the diastolic pressure can indicate hypertension. Both numbers are used in the diagnosis of high blood pressure. It’s important to keep the top and bottom numbers in the ideal range for optimal health. What Is Considered Ideal Blood Pressure? The American Heart Association and other worldwide health authorities consider an ideal blood pressure reading to be anywhere between 90 and 120 for the systolic pressure (top number), and between 60 and 80 for the diastolic pressure (bottom number). A normal, healthy blood pressure reading is below 120/80 Hg, and above 90/60 Hg. What If My Blood Pressure Is a Little Over the Ideal Rate? There’s a classification between ideal blood pressure and high blood pressure called prehypertension. Prehypertension is a systolic number between 120 and 139 and a diastolic number between 80 and 89. While nearly half of the world’s population has high blood pressure, the Centers for Disease Control and Prevention says another 25 percent of the population has prehypertension. While these numbers aren’t technically considered high, they are above the normal range. Researchers from the Mayo Clinic have reported that people with blood pressure in the prehypertension range are twice as likely to develop heart disease as people with low blood pressure. 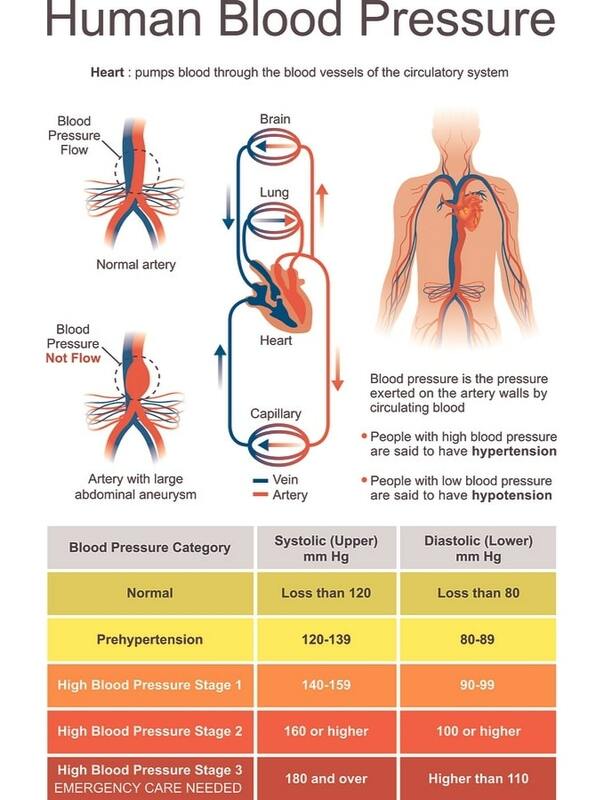 Here is a look at the stages of high blood pressure. When the top number on your blood pressure reading is between 140 and 159, and the bottom number is anywhere between 90 and 99, the diagnosis is high blood pressure – stage 1. There are largely no noticeable symptoms for stage 1 high blood pressure. Some people with stage 1 may notice slight dizziness or more frequent nose-bleeding, but nothing too profound. If the systolic number is 160 or higher, and the diastolic number is 100 or higher, the diagnosis is high blood pressure – stage 2. 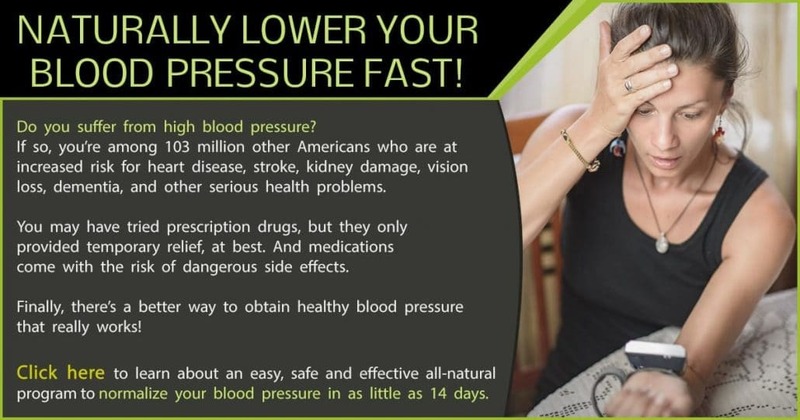 Many people don’t even realize that they have high blood pressure until they have stage 2 high blood pressure. The reason they may be completely unaware until this stage is that the high blood pressure symptoms can become quite noticeable in stage 2. People with stage 2 high blood pressure may experience dull headaches, intense dizziness, fatigue, and vision disturbances. However, it isn’t uncommon for even those with stage 2 high blood pressure to experience no symptoms at all. If the top number on your blood pressure reading is 180 or higher and the bottom number is 110 or higher, the diagnosis is stage 3 high blood pressure. These numbers could also indicate that the body is in a hypertensive crisis. Signs of the hypertensive crisis include organ damage, chest pain, breathing difficulties, numbness, back pain, inability to speak clearly and vision changes. Generally, if your blood pressure reaches this level, you’ll need immediate medical assistance and admission to a hospital. Age: According to the National Heart Lung and Blood Institute (NHLBI), before the age of 55, men are more likely than women to develop high blood pressure. However, after age 55, women are more likely than men to develop high blood pressure. Regardless of gender, all of us are more likely to be diagnosed with high blood pressure as we get older. Family history: If your parents had high blood pressure, you are at greater risk of developing the condition. Likewise, if your brothers or sisters have high blood pressure, you are at risk. Pregnancy: Gestational hypertension sometimes occurs in pregnant women. Gestational hypertension normally only develops after the 20th week of pregnancy. It is often temporary and lasts only until childbirth. In some cases, it can lead to preeclampsia and other complications. Race: African Americans are more likely to have high blood pressure than people from other ethnic backgrounds. Being overweight or obese: If you are overweight, you are at a greater risk of being diagnosed with high blood pressure. That risk increases if you are obese. Smoking: Smoking cigarettes damages your blood vessels and circulatory system, leaving you at a greater risk of developing high blood pressure. Being inactive: Inactivity puts you at risk for high blood pressure. Drinking too much alcohol: Alcohol overuse can raise your blood pressure. Even moderate drinking can cause changes in blood pressure. To ensure your blood pressure isn’t affected by alcohol, stay well below the moderate levels of alcohol consumption — less than one drink per day for women and less than two drinks per day for men. Too much dietary sodium: Eating a diet too high in salt can raise your blood pressure. Too little dietary potassium: If your diet is deficient in potassium, it can cause high blood pressure. 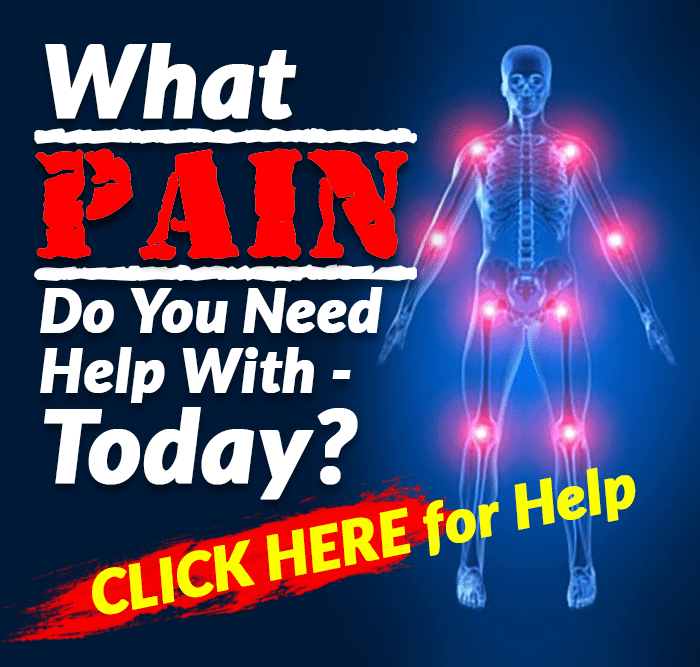 Nonsteroidal anti-inflammatory drugs (NSAIDs): Over-the-counter pain relievers like ibuprofen, aspirin and naproxen can cause high blood pressure, especially with regular use. Cough and cold medications: Many cough and cold medicines contain NSAIDs and decongestants. Both of these ingredients can raise a person’s blood pressure. Stress: High-stress levels can cause a temporary increase in blood pressure. Consistent high levels of stress will make the condition worse. Too little vitamin D: A 2015 study published in The Lancet Diabetes & Endocrinology showed a link between vitamin D deficiency and high blood pressure. Despite all of the risk factors, you can take steps to prevent the development of high blood pressure. We’ve found several ways you can steer clear of a hypertension diagnosis. 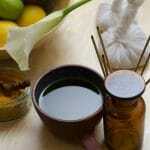 Here are our best tips to do this naturally. When you weigh more, your body produces more blood to deliver nutrients to your organs and tissues. Pumping more blood through the body puts greater stress on your circulatory system. One of the most important things you can do to prevent high blood pressure stays at a healthy, ideal weight for your body type. People who are inactive have a higher resting heart rate. This means your heart works harder and puts more pressure on your blood vessels. Aim for at least 30 minutes a day of physical activity to keep your risk of high blood pressure low. As we mentioned above, smoking cigarettes will damage your body’s circulatory system causing high blood pressure among other problems. Eat at home more. Restaurants load up your food with extra salt to make it taste good. When you prepare your meals at home, you are in control. 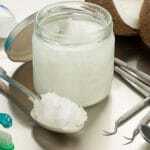 Use salt only sparingly and if it’s needed. Read labels on packaged foods and stay away from foods high in sodium. Foods like salmon, avocados, white beans and potatoes are high in potassium. Make sure you are getting enough potassium in your diet to reduce your risk of developing high blood pressure. More often, researchers are finding that the regular use of alcohol is not as good for a person’s health as once thought. A drink once in a while is OK. However, stay away from drinking alcohol every day or in excess. The best way to ensure you’re within the normal range of blood pressure is to know your numbers. Anytime you pass a blood pressure machine at the drugstore or grocery store, sit down and give yourself a check. If you’re in the prehypertension level, you’ll know it’s time to buckle down and work on these prevention strategies. Make an effort to check your blood pressure at least once a month — especially if you are at high risk. Generally, when you get a high blood pressure diagnosis, your doctor will suggest medications to lower your blood pressure. While medications can be very effective, some of them also come with nasty side effects. Talk to your doctor about trying some natural methods first. 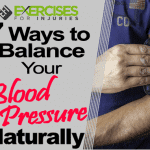 Here are some of the most effective natural methods for lowering your blood pressure. Multiple studies have shown that hibiscus can lower a person’s blood pressure as effectively as some prescription blood pressure medications. You can find dried hibiscus flowers in the bulk herbs section of your grocery store or teabags. Hibiscus makes a delicious, deep red, slightly tangy tea that contains no caffeine. It is delicious iced or hot. Drink the tea at least twice a day to reduce blood pressure. The polyphenols in brightly colored berries and cocoa have been found to lower your blood pressure. Enjoy a square of very dark chocolate — at least 70 percent cocoa solids — each day. Eat organic, blueberries, raspberries, strawberries and blackberries every chance you get. They’re excellent for lowering blood pressure. Meditation is an excellent way to reduce your stress, regulate your breathing and lower your heart rate. All of these things will help lower your blood pressure. Enjoy 20 minutes of meditation at the beginning or the end of your day. Check out our article on relaxation tips to find more information on meditation and a variety of methods for meditating. Along with a healthy diet, certain supplements are very important for lowering your blood pressure naturally. Magnesium relaxes your blood vessels, and a magnesium deficiency has been linked with high blood pressure. Consider taking a supplement with calcium, magnesium and vitamin D together. This trifecta is easy to find and generally inexpensive. Add in a high-quality fish oil supplement for overall heart health. Sadly, caffeine can aggravate hypertension. If you generally drink five cups of coffee each morning, reduce it to two cups and replace the other three with herbal tea —ideally hibiscus. If the caffeine reduction helps lower your blood pressure a bit, you might consider eliminating caffeine from your diet entirely. If you’re at risk for high blood pressure or you’ve been diagnosed with the condition, consider a natural approach to better heart health. Talk with your doctor about implementing some of these natural methods for preventing and treating hypertension.